In this tutorial, we'll learn how to instantly darken an overexposed image with Photoshop using a simple adjustment layer and a layer blend mode! I'll be using Photoshop CC here but this tutorial is also compatible with Photoshop CS6. If you're using CS5 or earlier, you'll want to follow along with the original version of this tutorial. In the previous tutorial, we learned how to brighten underexposed photos using a technique very similar to the one we'll be learning here. Both techniques work by simply adding a Levels adjustment layer above the image and then changing the adjustment layer's blend mode. As we'll see, when using these methods to correct exposure problems, the only real difference comes down to which blend mode we need. To brighten a dark image, we used the Screen blend mode. 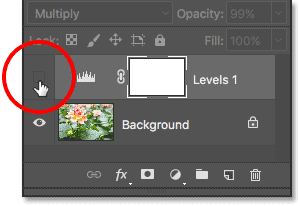 This time, to darken an image that's looking too bright, we'll use Photoshop's Multiply blend mode. Let's see how it works! The original, overexposed image. © Steve Patterson. If you've already read through the previous Instantly Brighten Underexposed Images tutorial, most of what we'll be covering here will seem familiar to you. 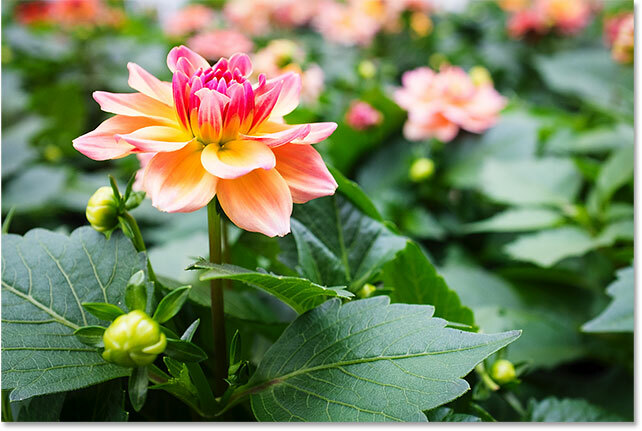 But rather than brightening this image even more, let's learn how we can use the same basic technique to darken it. Let's get started! Choosing a Levels adjustment layer. 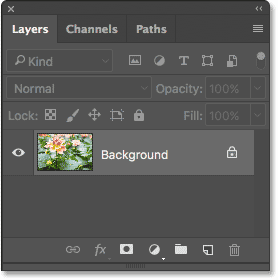 The Layers panel showing the adjustment layer above the image. 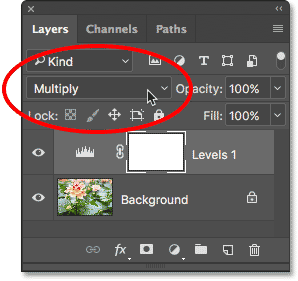 Step 2: Change The Adjustment Layer's Blend Mode To "Multiply"
The controls and options for the Levels adjustment layer appear in Photoshop's Properties panel. But for this technique, we won't need to use them. Instead, to darken the image, all we need to do is change the blend mode for the Levels adjustment layer. 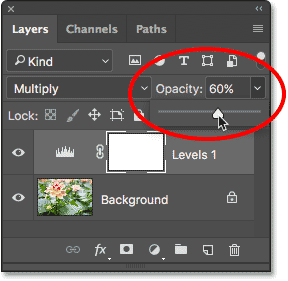 Changing the blend mode of the adjustment layer to "Multiply". The Multiply blend mode instantly darkens the image. A comparison of the original (left) and darkened (right) versions. If, after changing the blend mode to Multiply, you find that your photo is now looking too dark, we can easily bring back some of the original brightness. 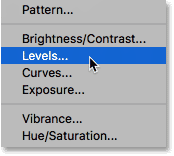 All we need to do is lower the opacity of the Levels adjustment layer. 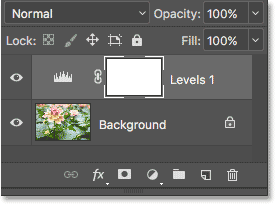 You'll find the Opacity option in the upper right of the Layers panel, directly across from the Blend Mode option. Lowering the opacity of the adjustment layer to fine-tune the brightness. Turning the adjustment layer off. Turning the adjustment layer on. And there we have it! As we learned in this tutorial and in the previous tutorial, Photoshop makes it easy to fix minor exposure problems simply by adding a Levels adjustment layer above our image and changing its blend mode. 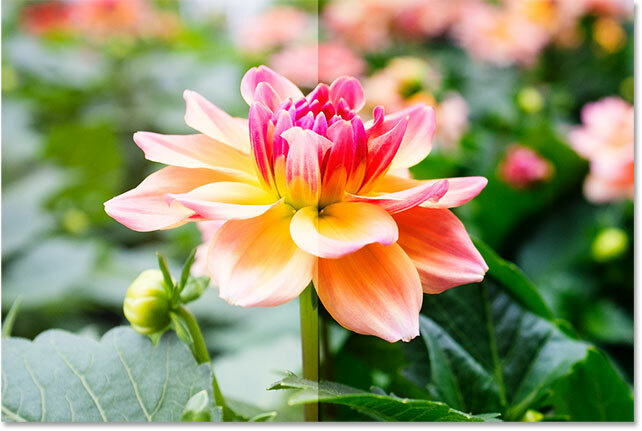 Use the Screen blend mode to brighten underexposed images, or use the Multiply blend mode to darken overexposed images! While this technique works great with casual, everyday photos, it won't give you the kind of professional-level results you'll want for more important images. For that, a great place to start is by learning how to use the full power of a Levels image adjustment to properly fix tonal problems, boost contrast and really make your images pop! Be sure to check out our Photo Retouching section for more Photoshop image editing tutorials! And don't forget, all of our tutorials are available for download as convenient, high quality PDFs!